Rēkohu. Wharekauri. Chathams Islands. A land of exquisite beauty, where the dawn rises from behind the shore and sets the world alight. And in the stillness of its silhouette on the waters, just as suddenly the sun appears to dazzle us with its brightness. Serena Lyders and I made the trip to Waitangi, as part of a stakeholder forum held on the island. When we weren’t marveling at the majesty of the landscape, we were admiring of the resilience of a people who live beyond wifi; who survive despite the absence of the connectivity that New Zealand has become accustomed to. No zoom or skype for them; the only reliable satellite reception appears to be located at the hospital. While it was a welcome reprieve for some of us from the relentless chatter of text and email, the implications for the education curriculum; for emergency management; for ‘heartland’ technologies that link communities together are significant. Information technology was a key aspect of our discussions amongst the myriad of agencies that attended the forum. For Te Pūtahitanga o Te Waipounamu, there was another purposes for us to travel to the islands and that was to make connections with Ngāti Mutunga o Wharekauri Iwi Trust, whom we are working with to place a Whānau Ora Navigator with whānau in Wharekauri. As we left the Chathams it was moving to touch the basalt stone that had been chosen as part of the millennium celebration. The rock chosen by George Hough was split; and one half is held at Te Papa Museum. The 70-80 million year old basalt rock, along with petrified Kauri gum from Te Tai Tokerau; pounamu from Te Tai Poutini and granite from Murihiku; travelled the length and breadth of Aotearoa where 230,000 tamariki touched these taonga and made wishes for the new century. In the dawn sunrise over Te Awapataki, the lagoon entrance in Wharekauri, on 1 January 2001, the basalt was returned to its home where now visitors to and fro the island can reflect on what it represents for them. While we were being inspired and energized from dawn to dusk, in Te Tau Ihu this week, we recognize the excitement of signing up to the Wave Six investments. Jarom Hippolite, Ngāti Koata, signed on behalf of the Ngāti Koata Trust which seeks to develop a virtual map (database) recording iwi sites of significance. The cultural mapping initiative, Whakamaheretia te Mātauranga, involves recording, mapping and transmitting their traditional knowledge. The initiative, made on behalf of the descendants of Rihia and Huria Hemi will support whānau to learn the fundamental understandings of rongoā Māori including karakia, ngā atua, whakapapa, mauri, taha wairua, taha hinengaro, taha tīnana, mirimiri, romiromi, keke pōhatu etc. Melita Te Rata Bryan-Moran age 9; Toha Pehimana Froggy Peter Bryan-Moran. Age 8 in 2 weeks. ; Flora Rose Mania Bryan-Moran age 4 with parents Morgan and Timoti Moran. Taniwha Dragon Taonga : Timothy Moran : is a first in Te Waipounamu for taking rangatahi through this sacred process that tohunga once would have done. The first priority is to create the first version of Taonga Wānanga. 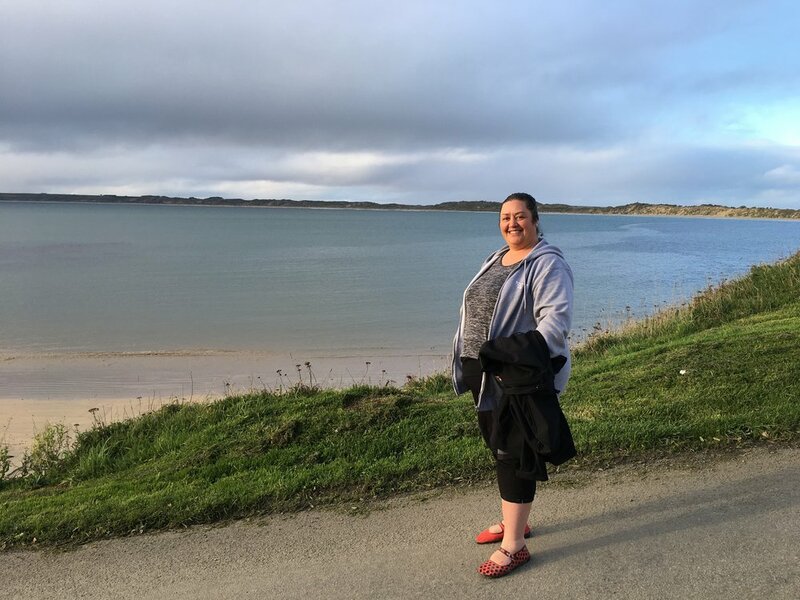 In our continuing series of stories from Ngā Kete Mātauranga Pounamu here’s a beautiful story from Holly-Maree Jones. I started drinking alcohol when I was 13 to escape reality. I was bullied a lot at school and I had some pretty big family problems. The alcohol drowned out the hurt and rejection I was feeling and pretty soon I was drinking weekly. I loved it. I loved everything about it – the taste, the buzz, everything. I was young but I always found a way to get my hands on some alcohol, whether it be through a friend’s big brother or a cupboard I shouldn’t have been in. By 15-years-old it had consumed me. It was all I could think about. I’d think about it when I was at work, so the next day I’d call in sick or come up with more excuses. I started getting bad hangovers so I’d smoke marijuana to balance it out, and I’d have to drink so I didn’t feel sick. I lost job after job but it didn’t matter because drinking was more important than anything else anyway. I was drinking about a dozen a night with my then-partner, which went on for years. When I turned 22 I realized I needed to stop the drinking. I knew it wouldn’t magically fix everything for me. I was clean and sober for 266 days until a traumatic event sent me straight back to the bottle. I drunk harder, more frequent, and I took harder drugs. I was drinking in the morning and I had to be stoned to get out of bed. I knew it was wrong but I didn’t know what the right thing was. I moved to Invercargill a couple of years ago to get away, and for the second time I realized I needed to stop drinking. I sought counselling and found Nga Kete. It was the best thing I could ever have done, and I’ve been sober for the past seven months. They’re so empathetic and caring. They’ve helped me with things I didn’t even know I needed help with, and taught me to cope better. They’ve taught and shown me what a real family is, and I’ve loved being a part of the Te Rongo Pai group for its education and group setting. I have completed Art Therapy, which was therapeutic and healed a lot of areas for me. I also attended the Hikoi te Hauora Addiction Recovery Camp, which built up my self-esteem and self-confidence. I’m finishing my vet degree now and searching for my father. I want to be in part time work and I want to have my own family. The idea of drinking makes me sick now. It makes me so sad that I had to resort to drinking. I’m so pleased I received the help I so badly needed, and I’m finally on the right path in life thanks to Nga Kete. How proud can we be in Te Waipounamu, that at the Cross-Parliament Social Enterprises Summit this last Tuesday night, it was two of Te Pūtahitanga original enterprises – Kākano Café and Cookery School (Jade Temepara) and Pa Ora, Pa Wānanga (Omaka Marae – Kylie Nēpia) that featured amongst the lineup of innovative social enterprises that are contributing to Māori economic development, regional economies and social development. We can’t wait for the Social Enterprise World Forum to hit down in Christchurch, September 2017! Nau Mai Haere Mai to our Whānau Hui. This is an opportunity for whānau to come together, engage, share information and discuss any community interests. All whānau welcome. Manaaki ki te tangata. Whānau who are new to the area or have not been on Takahanga Marae please contact Celeste 027 4151 847; before hui so we can arrange appropriate marae welcome. Whakawhānaungātanga ki Hurunui - Hōngongoi (July) Sun 23 WAIAU HALL. We invite you to join us reaching out and showing support to our neighbouring whānau in Hurunui/Waiau. This is a humble get together to hear each other's earthquake stories and to share information and ideas. Waiata, Shared Kai, Korero, Kapahaka. Manaakitanga. All whānau welcome to come along. Kaikōura Ope departing at 10am and returning at 5pm. The Commonwealth Fund invites promising mid-career professionals—government policymakers, academic researchers, clinical leaders, hospital and insurance managers, and journalists—from Australia, France, Germany, the Netherlands, New Zealand, Norway, and the United Kingdom—to apply for a unique opportunity to spend up to 12 months in the United States as a Harkness Fellow in Health Care Policy and Practice. Fellows are placed with mentors who are leading U.S. experts at organizations such as Harvard University, Stanford University, Kaiser Permanente, and the Institute for Healthcare Improvement to study issues relevant to the Fund’s mission to support a high performing health care system─insurance coverage, access, and affordability; health care delivery system reforms (e.g. bundled payments, accountable care organizations, innovative approaches to care for high need/high cost patients and vulnerable populations); cost containment; and other critical issues on the health policy agenda in both the U.S. and their home countries. A peer-reviewed journal article or policy report for Health Ministers and other high-level policy audiences is the anticipated product of the fellowship. Harkness Fellows have published their findings in top-tier journals, including: BMJ, Health Affairs, and New England Journal of Medicine. The deadline for receipt of applications from New Zealand is September 5, 2017. Please feel free to contact: Robin Osborn, Director of the Harkness Fellowships in Health Care Policy and Practice at ro@cmwf.org with any additional questions about eligibility, the project, or the application process. Our strength does not come from one alone, it is from our collective force.